Just moments ago at Mazda Raceway Laguna Seca the proverbial sheet was pulled off the new 2016 Mazda MX-5 Roadster. Actually, it suddenly accelerated out of the darkness towards a group of people but it stopped just in time! 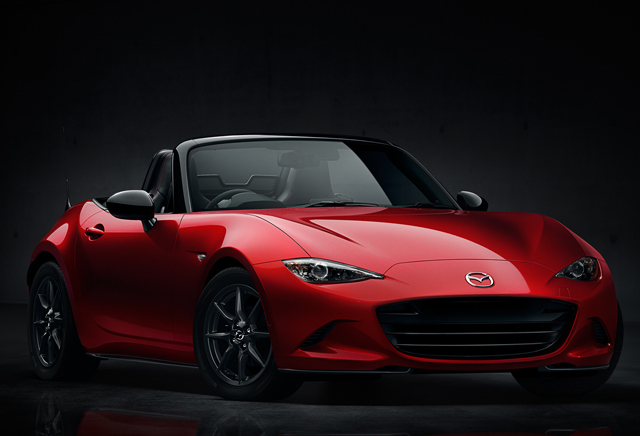 As you can see from the title picture, the new MX-5 has been completely re-designed and it looks… Well, I’m not sure how it looks but I know I like it! Sure, its not perfect (the headlights are a bit…yeah..) but I love the dimensions, the curves, the hip line, it all looks much better than previous iterations. 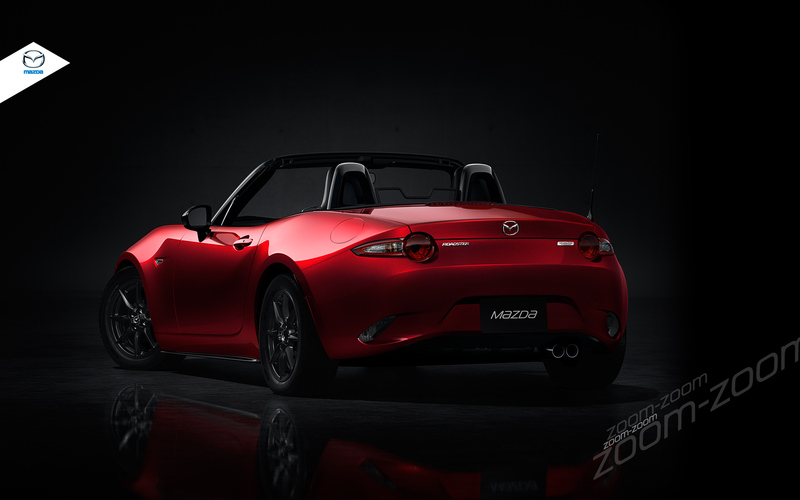 And let me be the first to say that FINALLY THE MX-5 ISN’T “CUTE” ANYMORE! Thank the car gods! 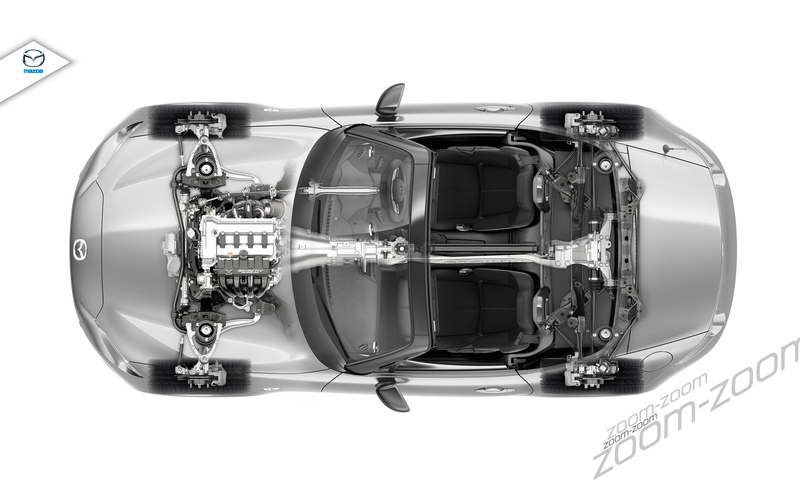 We still do not have any hard performance numbers on the new MX-5 yet, but we do know that thanks to its new chassis its 200lbs lighter than the outgoing MX-5. 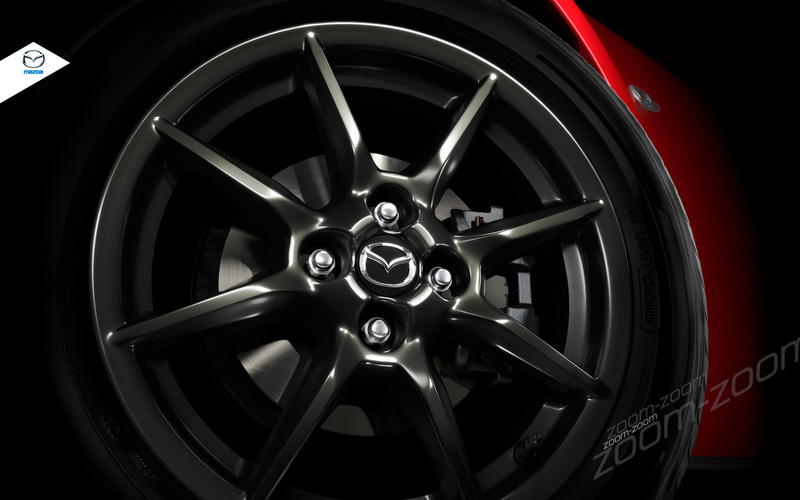 I am holding out hope that Mazda will bring the 2016 MX-5 to the LA Auto Show later this year and with it, much more info! For now check out the gallery of official pictures below as well as the press release. 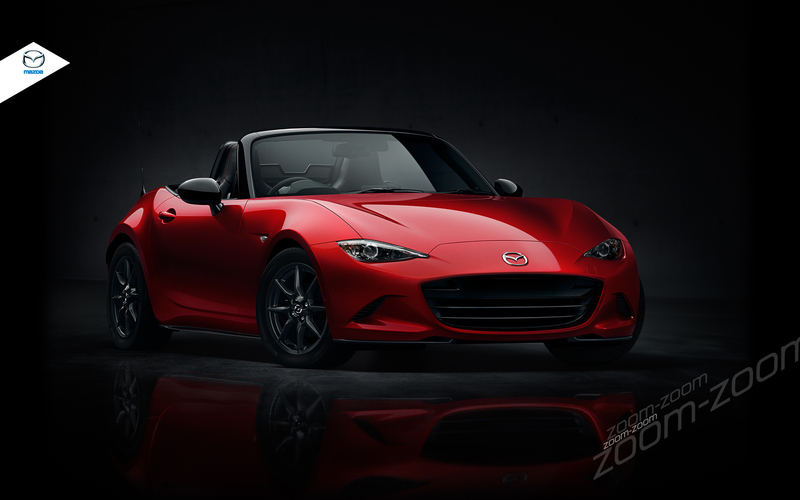 Mazda Motor Corporation today celebrated the unveiling of the fourth generation Mazda MX-5 (known as Roadster in Japan) together with fans at events held simultaneously in Japan, USA and Spain. 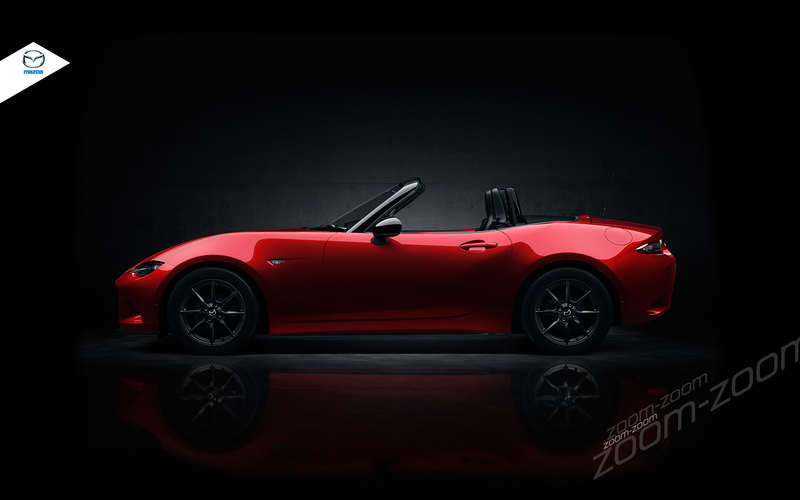 The all-new MX-5, which adopts both SKYACTIV TECHNOLOGY and Mazda’s KODO—Soul of Motion design language, will be rolled out to global markets starting in 2015.